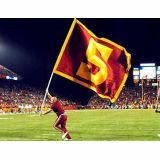 Display your school Spirit and fire up the crowd with these delightful school spirit flags from Tuff Flags. Available in various sizes, these light weight school spirit flags available in both double sided print and single side reverse print options are the best way to welcome alumni and fly your school colors. Be it a school spirit rally, parades or sports events, these school spirit flags will make great options to grab attention of the guests and to put your school pride on a panoramic display.Shop from our complete line of School Spirit Flags right away. You'll find incredible prices, high quality, quick shipping and much more! Fly your school colors with our complete line of school spirit flags that will leave a lasting impression in the minds of your guests. Be it an alumni meet, pep rally or a sporting event, these school spirit flags are the best way to display your school pride. 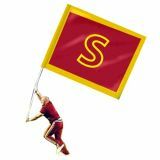 Made of knitted Polyester, these school spirit flags are reinforced and light-weight to fly beautifully as they're being run across a field or gymnasium. Customize it with your school mascot or logo. 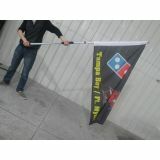 Available in various popular sizes, these school spirit flags are great for cheer squads, promoting school spirit and to get the crowd going at rallies and sports events. 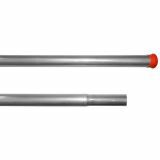 We also have poles for these school spirit flags to make a perfect display. 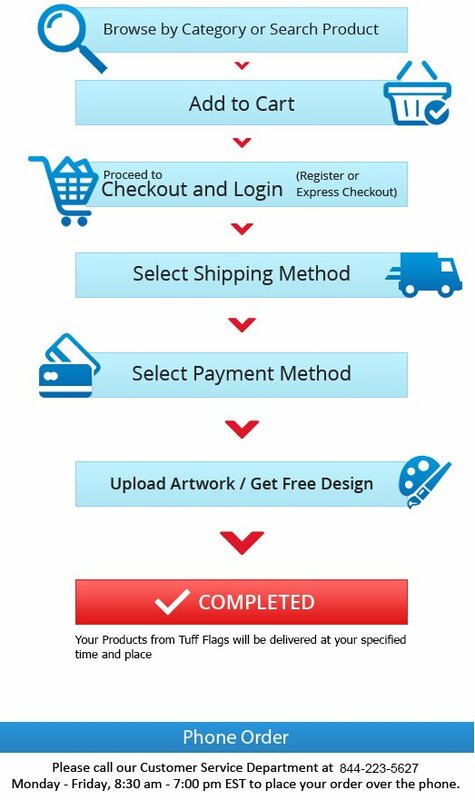 No matter, what your needs are, we can walk you through the ordering process easily. Browse our selection of Custom School Spirit Flags to choose a model that matches your needs. 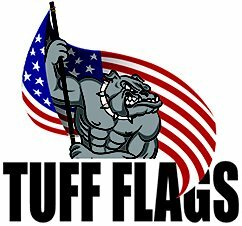 Should you have any questions, call us at our toll free number (888) 287-3524 or email us at customercare@tuffflags.com.